Give your leftover roast chicken a new life with this savory mixture of tender vegetables, fragrant herbs, and rich, homemade stock. 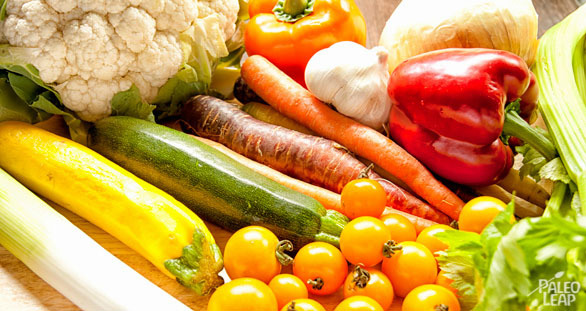 It’s also perfect for using up any vegetable odds and ends that are languishing in your refrigerator: you can really go all-out and add a lot of different vegetables according to your taste. 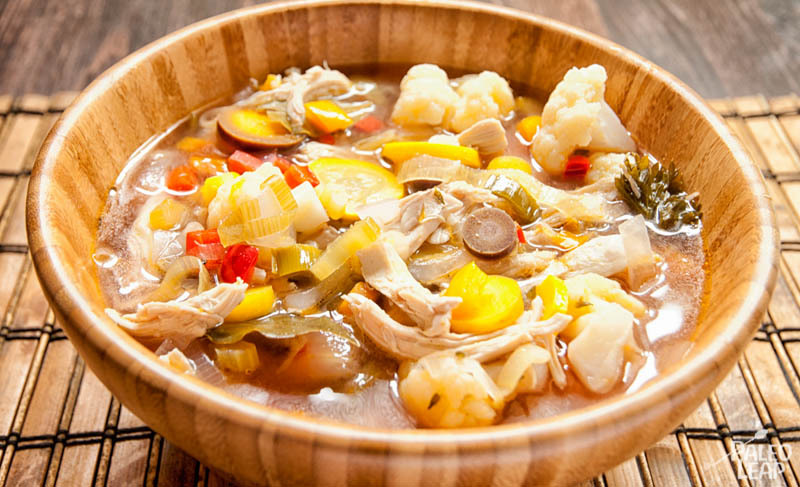 Theoretically, you could make this soup entirely from leftovers, but the result is so delicious that you’ll likely find yourself buying another chicken just to make some more! If you’re making a chicken especially for the soup, it’s the perfect opportunity to make your own stock as well. You could always buy stock at the store, but homemade stock is so much cheaper and more nutritious, and if you have a chicken anyway, you have all the ingredients right on hand. Just toss the whole chicken into a big stock pot to simmer in 2-3 quarts of water for about an hour. Add some fresh herbs and spices (thyme, bay leaves, and peppercorns are good), and a few vegetables if you like. Once the meat is cooked through, cut it off and save it in the fridge while you use the chicken bones to make some homemade stock. If you’ve never made your own stock before, you’ll be amazed at the difference in taste. The traditional reason for making chicken soup is as comfort food when you’re sick, and this recipe definitely lives up to its nickname as “Jewish penicillin.” First of all, it’s packed with vegetables, and they’re so soft and tender from cooking the soup that they’re easy to get down even on an upset stomach. And then there’s the stock itself – if you make bone broth at home, it’s full of the good stuff. The minerals and electrolytes are perfect for anyone who’s been throwing up, and the gut-healing proteins in the broth help sooth your stomach and reduce inflammation. It’s a comfort food that’s also good for you: what could be better? Serve it with a salad, a baked sweet potato, or a simple egg dish like a frittata or a quiche for a full meal, or just enjoy a bowl plain on its own as a delicious and nourishing snack. SERVES: 8 PREP: 20 min. COOK: 25 min.